If so, you can identify them and do something about them. And if you’re not sure, trust me, if you call me for a phone consultation or virtual doctor visit I’ll help you figure out whether or not you have any of these characteristics. And I won’t sugarcoat it for you. So if you still need help check out the virtual doctor visit link at the bottom of the show notes page for this episode. I know this episode is it going to be very popular. Primarily because this episode is hopefully going to force you to take an introspective look at what you may actually be doing that is contributing to you not getting better, or not getting better as quickly as possible. The truth is we all do things that are not in our best interests. When we get injured it’s pretty easy to make small choices that actually unnecessarily add a lot of extra time to our recovery. In many cases getting better faster has to do with making some very small changes that compound over time. The sooner you make those changes the sooner you start getting better results. Sticking your head in the sand when things go wrong is not a great approach. You have to face your problems squarely. Even if an injury has the potential to disrupt your race, you have to look at the problem. If you don’t look at the problem you’ll never find a solution. You cannot ignore an injury. I think that we as runners might, as a group, be one of the worst offenders. We just ignore pain. Part of the reason for that of course is our training. After all, what is endurance training if not learning to tolerate, ignore and run through the pain. We’ve all succeeded in races just because we were able to shut out the pain until we made it to the finish line. But the longer you ignore pain when you’re injured the further the finish line actually gets away from you. You don’t get closer to your goal by staying injured longer. One of the other reasons we ignore aches and pains is that we think they will eventually just go away. It’s great to be optimistic. But it’s not great to be delusional. If you have any pain, in one specific location the lasts for more than three days it’s unlikely it will just go away if you keep doing the same activities you have been doing. If you keep doing speed work, keep doing hill repeats stick with all of your long runs and think that pain will miraculously disappear in the middle of your run you are probably mistaken. Don’t stick your head in the sand. I’m not saying you necessarily have to talk to a doctor right away but you have to do something. Talk to your coach. Keep a pain journal. Track the discomfort and see if it’s getting better or worse. If the pain is getting more frequent or more intense you have to take action. In many cases doctors or bullies. 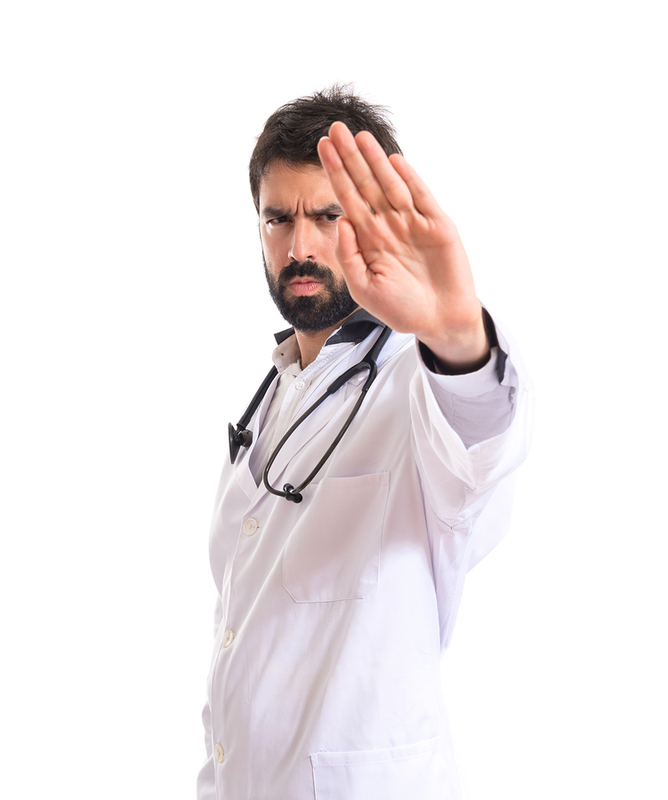 There is still a tremendous amount of paternalistic attitude among doctors. They still wear white coats. They still want to give this air of authority. Doctors still want to believe that their many years and medical school and residency training far outweigh every bit of information that can be found online. Whether or not that’s actually accurate is a completely different episode. Whether the doctor you have chosen to see is a bully, a slick salesman or a fearmonger, the doctor may successfully talk you into a number of different treatments or invasive procedures that may not be in your best interest. You have to be very cautious when considering any invasive or potentially disruptive treatment. Corticosteroid injections or cortisone injections can make structures made of collagen weaker. Weaker structures are more prone rupture. Your Achilles tendon, the plantar fascia, the plantar plate ligament, the bone callous that is helping a sesamoid fracture heal, and all of the cartilage in your joints, they are all made of collagen. 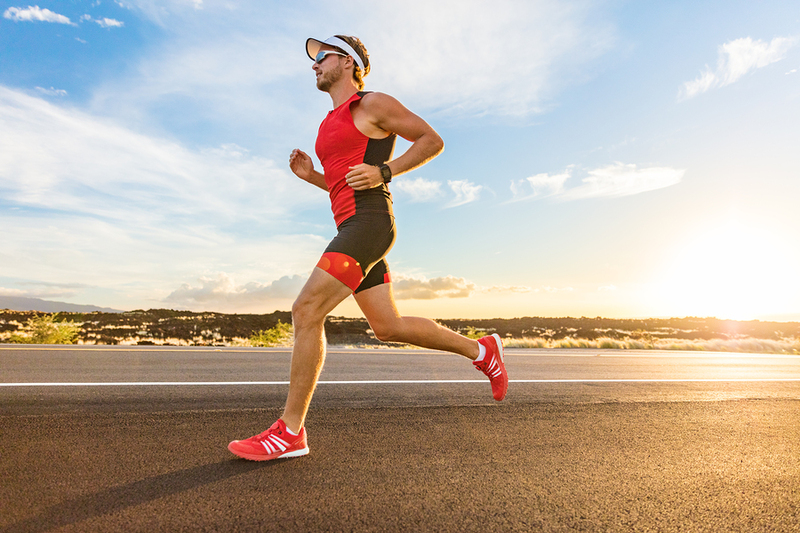 If you are a runner and the doctor injects any of these structures there’s a much higher risk that you will develop a problem, at least as compared to nonactive patients. A fracture walking boot may also be offered to you as a quick fix. But in most cases there is nothing quick about the fix in a fracture walking boot. Most doctors will lock you up in a fracture walking boot for a period of several weeks. Studies of shown that at one week you’ll get a 17% reduction in the muscle diameter size of the leg in a fracture walking boot on crutches. At four weeks you can get a 60% reduction. All of these treatments can be effective in certain circumstances but you have to make sure you ask lots of questions and don’t get pushed into any treatment if it doesn’t feel right to you. And trust me I know it’s difficult to say no to a doctor. I actually had chest pain after my first Ironman race. Believe it or not a cardiologist actually scheduled me for a catheterization where he might put a stent in one of the arteries in my heart. That was the first actual “treatment” or even genuine intention of taking a look at the condition of my heart. He was actually recommending this as his first course of action; an invasive cardiac procedure! It may not surprise you to hear that I said no. I asked a nurse to get my clothes and then I had a few choice words for the doctor. Of course, he made me feel bad about that and even suggested that leaving that day was foolish. But I wasn’t going to be his doormat. I wasn’t going to have an invasive cardiac procedure just so he could make another house payment. Oh, and by the way I did get my heart checked out and it turns out there is absolutely nothing wrong. And since that time I have competed in 14 more Ironman races without any issues at all! There’s almost no risk and getting a second opinion! You don’t have to do everything the first doctor tells you to do. At the other end of that spectrum is a runner who seems to be deaf. Or maybe stubborn would be a better term to use. I actually think runners listing very closely and attentively. I will concede that many times we runners don’t like what we hear. About 30 years ago an orthopedic surgeon reconstructed my knee and told me I would never be able to run again. I didn’t like that answer. I didn’t take his advice. Dr. Harvey would probably say I didn’t listen to him. Dr. Harvey might say I’m deaf. Don’t take this to mean you have to do everything the doctor says. I don’t think you have to do that. But I think you have to listen what the doctor has to say. I think you then have to take that information and listen to your own body. You have to listen to your gut. And if something doesn’t feel right you need to get a second opinion. You don’t have to necessarily have to talk to another doctor, but have to talk to somebody. Talk to your coach. Talk to running buddies. Talk to your spouse. Talk to anyone who knows and understands you and really has your best interests at heart. Every doctor has a conflict of interest. Every doctor gets paid more for doing more procedures on you. I understand that even I, as a doctor, have those conflicts of interest. I make a whole lot more money if I see you at home during a house call to evaluate your running injury then if you listen to this podcast episode. In fact when you listen to this podcast episode I get paid precisely zero. Believe it or not many of my colleagues scold me for doing this exact podcast. They don’t like that I tell you doctors have conflicts of interest. They don’t like that I try to explain to you how to evaluate your own running injuries and get back to running without ever seeing a doctor. The fact that doctors get so upset about it highlights that very conflict of interest. Many doctors think that if you get better without a doctor getting paid then the doctors are getting ripped off. But that’s crazy. To me that doesn’t make any more sense than thinking that the water company in San Francisco will get upset buy a nonprofit trying to produce clean water for people in Africa. So if the doctor seems to get upset with you because you’re not listening, see if you can identify any conflict of interest. Point it out. What do you have to lose? If you’re not going to do what the doctor says you need to do, you may as well let the doctor know why you’re not going to do with they said. See what their reaction is. See if the doctor gets upset. Again, what do you have to lose at that point? Look, you hired a coach to get faster. You decided to pay somebody to tell you to do things you don’t really want to do, and probably, in an order that you don’t necessarily agree with, only because you believe that coach knows more than you about how to help you get better. You should have that same feeling about your doctor. You have to believe in the doctor. You have to believe in the doctor’s ability to help you get better. And above all else you have to believe your doctor wants to help you run again. If you can believe that your doctor wants to help you run again, then it will be much easier for you to listen to your doctor’s advice. If I were to call you a couch potato, I’m guessing you be offended by that. But I’m not calling you a couch potato to upset you. 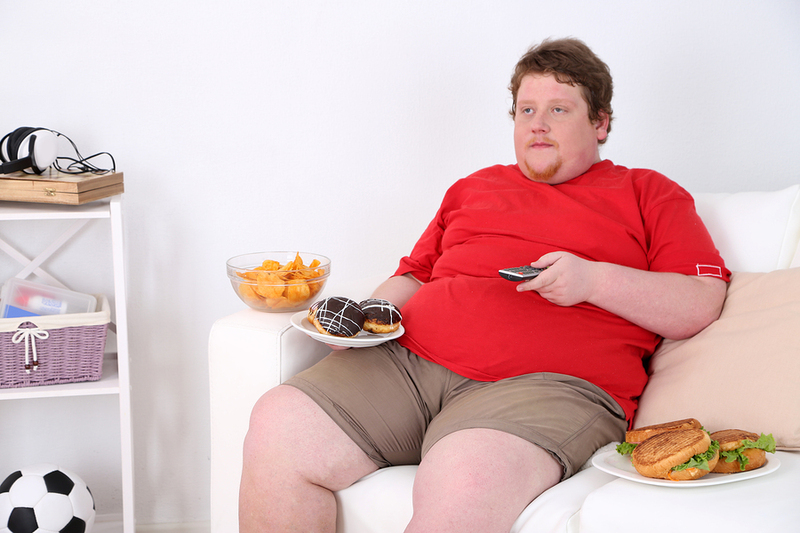 I’m just suggesting that the term “couch potato” brings up a certain image or connotation that we all recognize and we will never want to attach ourselves. You may not be sitting on the couch all weekend eating Cheetos and hotdogs. You probably think of yourself as someone who is more consistently taking the right actions to produce the results you want. But we are all lazy in some respect. But the problem with the sort of laziness I’m talking about here is that you don’t really prioritize the really small things. I recently read a book called The Compound Effect. It was recommended to me by a truly inspirational runner named Gary. I interviewed Gary for a podcast episode because his story is so inspirational. Check out the Doc On The Run Podcast Episode #81: From 400 Pounds to Running 100 miles. Weill Gary recommended that book to me. In The Compound Effect Darren Hardy talks about how all of the very small changes that we make compound themselves over time. So what may seem like a tiny insignificant change one day, adds up to significant results and ultimately massive changes after a period of weeks, or months, or years. Change often starts with very small things done very consistently. Jim Rohn used to say the problem with most small actions that can produce big changes is that they are so easy to do, and so easy not to do. It’s so easy to walk around the block. And it’s so easy not to do. It’s so easy to ice your Achilles tendon before you go to sleep. And it’s so easy not to do. It’s so easy to take a collagen supplement one hour before you work out. And it’s so easy not to do. The interesting thing is that we often define laziness as an attitude that makes someone unable or unwilling to do the hard work. But when but when you are an injured runner, laziness comes in subtle forms. The main thing I do differently when I work with runners is I help them identify the small differences between what they’re doing now, what the doctor recommended, and what they could do to actually rapidly accelerate the healing process. I don’t offer completely original or groundbreaking approaches. I just look for the small subtle things that could be done a little bit differently that will start to compound themselves as you recover. I look for the little things, it may seem like really small insignificant things that will add up the big results. In the end, if we make the right decisions, and you take the right actions on a consistent basis that means that you are actually going to heal much much faster than if you follow a conventional “standard of care” treatment plan. So don’t be lazy! Think about what you could do to heal faster right now. Think about one small action you could do today that will definitely help your healing. What could you eat today that supports the healing process? What could you refuse to eat today that’s actually counter to the healing process? It does take effort to think about and identify all of those small additions and subtractions, the nearly insignificant actions, that don’t seem like they will make a big difference today. It takes effort and confidence to realize it’s worth taking all of those small actions to get them to add up to a faster healing time. If you think you need help identifying those small actions that will help accelerate your healing over the course of time, you can schedule a virtual doctor visit where you and I will actually go through all of the differences between standard care and what would actually be the very best individualized treatment plan for you, giving your particular injury, your particular goals, and believe it or not, your attitudes about what you need to do and what you should do to heal. Check out the virtual doctor visit link at the bottom of the show notes page for this episode. And get back to running as quickly as possible!